It is mid-April and the ski season is slowly coming to an end. Only one more week left to go before Verbier closes for the winter season we are still able to ski all the way down to the village! The last proper dump of snow was about two weeks ago and since then the sun has been out almost every day and the temperature has been well above the seasonal average. The snow conditions are still very good with 152 cm at Ruinettes and 260 cm at Attelas. Early in the morning the conditions are the best at Mont Fort and Lac des Vaux. Lower down the slopes are very hard and icy. Around noon after softening in the sun the conditions change and you can enjoy skiing down on a thin layer of soft snow which is a great feeling! After about 1pm the snow turns heavier and slushy in places. Tomorrow will be cloudy with a little bit of snowfall and sunshine later on. Into next week the forecast is looking promising, it looks like we will have a lot of sunshine again. 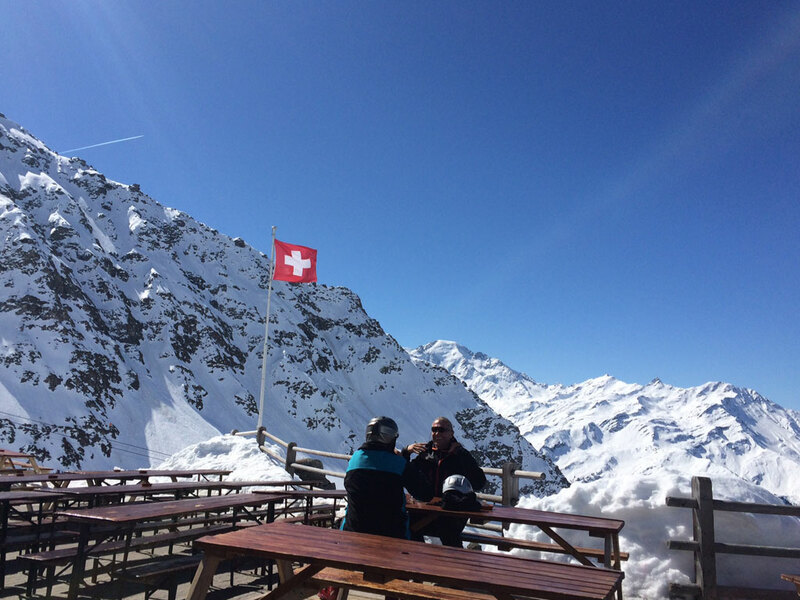 One more week to go, enjoy the sunshine and spring skiing!